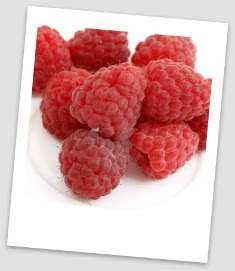 Raspberries are filled with bright color and flavor that will wake up your senses and make your taste buds happy. While picking fresh raspberries from your garden, you might wonder about a way to enjoy the wonderful smell and flavor of these wonderful raspberries long after they were picked. I have successfully trapped the mouth-watering flavor and heavenly smell of raspberries into a pie. Here is the recipe. I hope you'll like it. Combine clear jel with the sugar and then add to the raspberries. If they are fresh you may need to add about 1/2 cup water. If your raspberries have been frozen and are thawed do not add any liquid. Pour into a 9 inch pie crust and top with another crust for the top and bake at 425 degrees for 50-55 minutes.